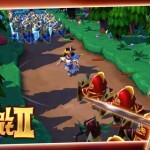 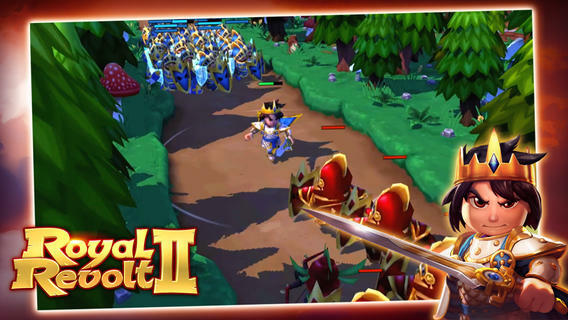 Royal Revolt is back with more fun, even more battles and a lot more action. 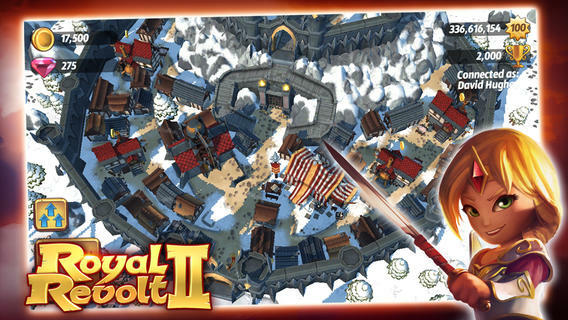 Defend your castle and build a deadly maze for your enemies. 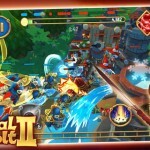 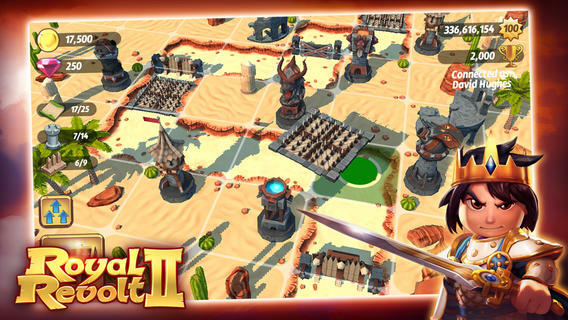 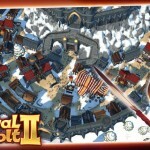 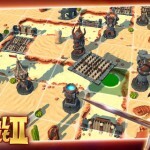 Explore and conquer the kingdoms of your friends and foes in this brilliant sequel. 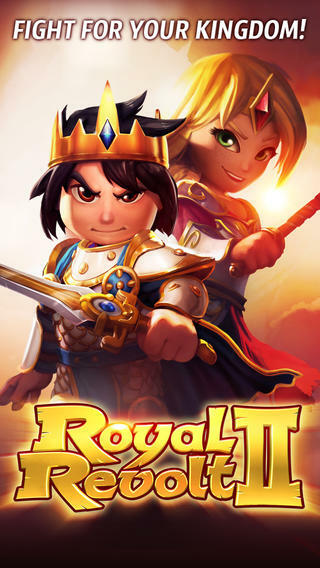 Overthrow the royals on your way to the top, but be aware of your own enemies, your Highness – there’s a royal revolt going on!!! 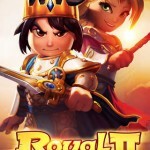 Logitech POWERSHELL™ controller compatible ● MOGA ACE™ POWER Game controller compatible ● This game requires an internet connection to play and offers in-app purchases. 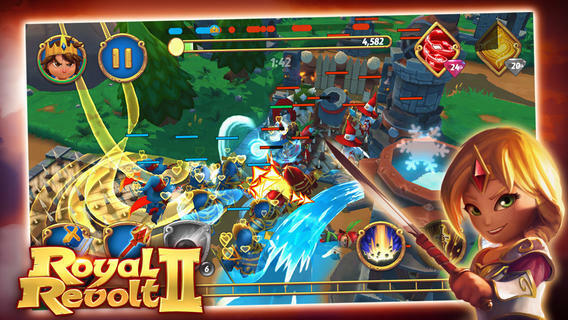 Requires iOS 6. 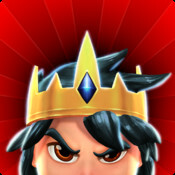 Check out these other fun games from flaregames: BraveSmart, Ocean Tower, Royal Revolt, Throne Wars and WordOn HD.